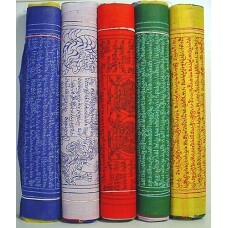 We do have different kinds of incenses and sizes of incenses. We are giving you the best prices and best quality as well. 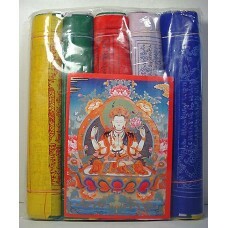 Tibetan Prayer Flag is made in Nepal from polyster.Each packet contains 5 rolls and there will be Fi..
Tibetan Prayer Flag is made in Nepal from polyester.Each packet contains 5 rolls and there will be..